A while a go I had contact with Phonegeek.nl about a collaboration. 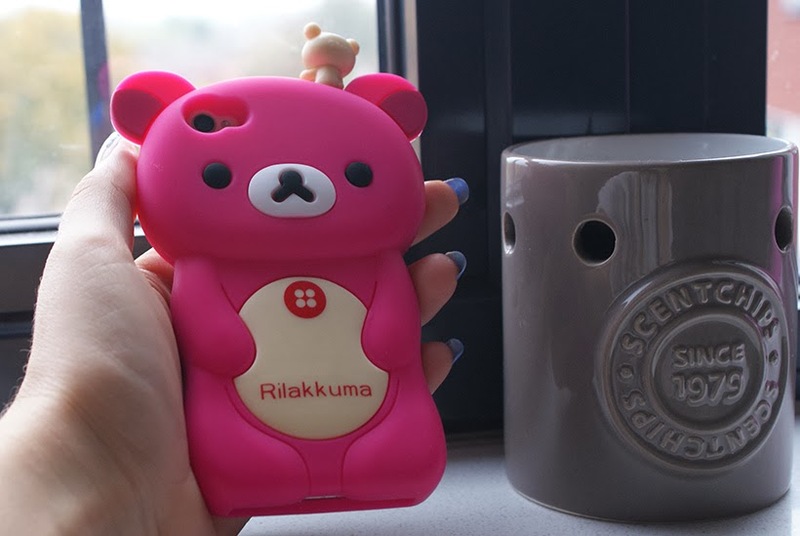 So last week I received my new phonecase from the brand Rilakkuma, a cute case in the shape of a bear and a Rilakkuma dust cap! 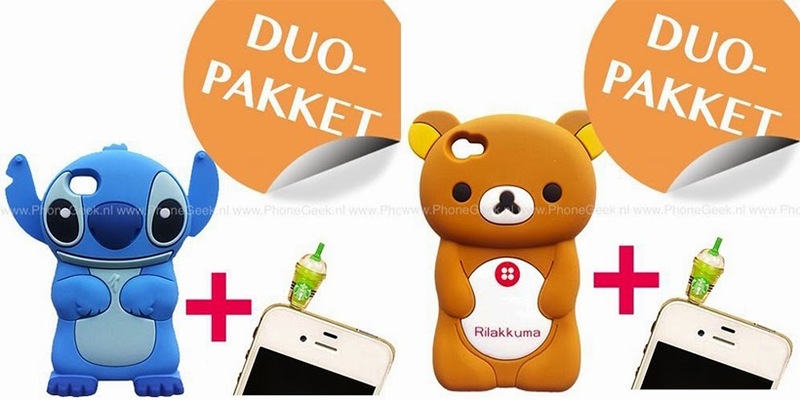 Phonegeek.nl is a webshop which focuses on trendy, stylish, unique but handy phone accessories! They sell a great variety of phone cases (from silicone, hard case, flip case or a blinged phonecase) but also accessories like dust caps, color skins and home button stickers. At phonegeek you can really customize a lot of your Apple products, your Samsung Galaxy or bling your HTC one X! The case was deliverd in a bubblewrap envelop and in this plastic ziplock bag, the dust cap is also in this ziplock bag. 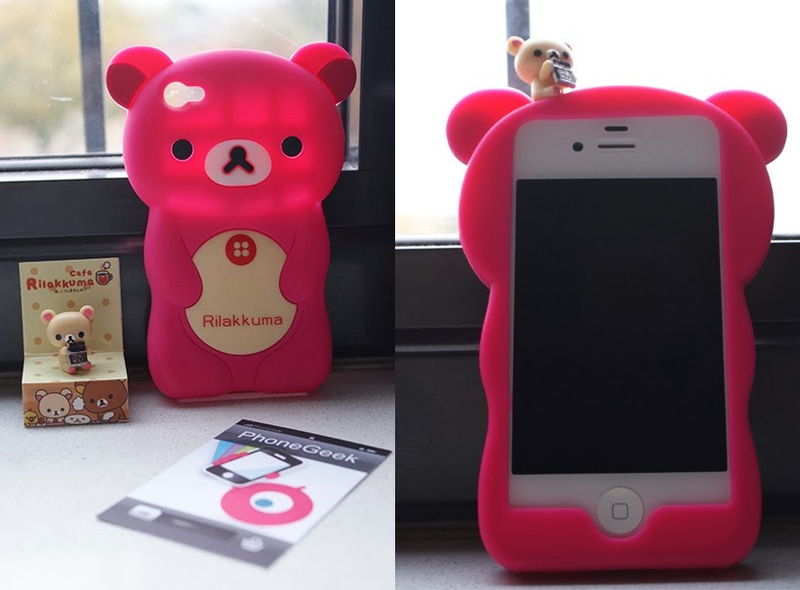 I love the case, it is very playfull, cute and it also covers my phone really well. I actually have the feeling that my phone will be fine if it should fall (I still won’t try it out by the way haha). What I also like is that the buttons from my iPhone still function really well (due to the buttons being sort of integrated in the case). The only thing I don’t like is that if I want to switch from silence to sound on or the other way around, I need to take the case (partly) from my phone to do so. Which is a little bit annoying when you are say, at a meeting or something formal. Also my phone is HUGE now, so my phone does not fit in my pocket anymore… But those really are the only downsides of this über cute phonecase! After testing this case for a while I really think this case does what it needs to do, protect my phone, and it is cute as well. I am very happy! Also I received a dust cap, which i actually use just because it is so cute haha. My dust cap is matching with my case, which really makes it extra cute! What do you think of this combination?! 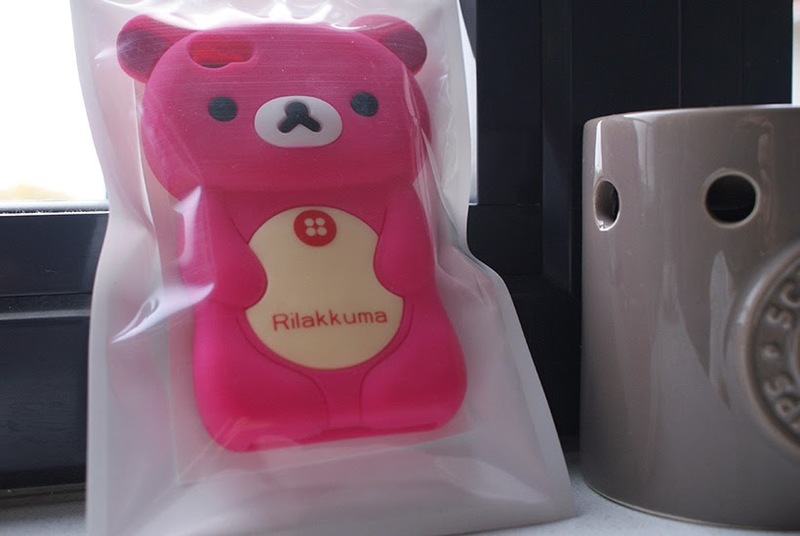 I went for a duo package at the Phonegeek website, check out these other cute duo packages! Just before I go to bed it is time for the latest Instagram Weekly! Last week was not really superb or something haha, I went swimming, have been doing some job searching, and most of the other time I have spend chilling in my home and in the sun on my balcony 😉 So a short post this time, from left to right, top to bottom! 2. Featured in Fashionista Magazine about a nice weekend in Milano which turned out not so great because my wallet was stolen ..
3. Crazy selfie, wearing my Monki Bandeau top, it was soooo hot in the apartment. 4. Sharing my discountcode also on Instagram, the discount is actually pretty huge!! 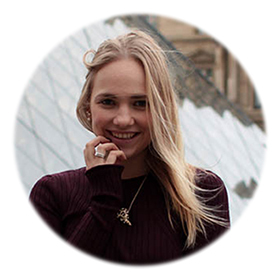 Check out my last blogpost! 6. Detail photos from the AFW: Nata Ryzh show and blogpost! If you are curious, check it out! Challenge the rules, don’t be tamed, be in control, powered by freedom! 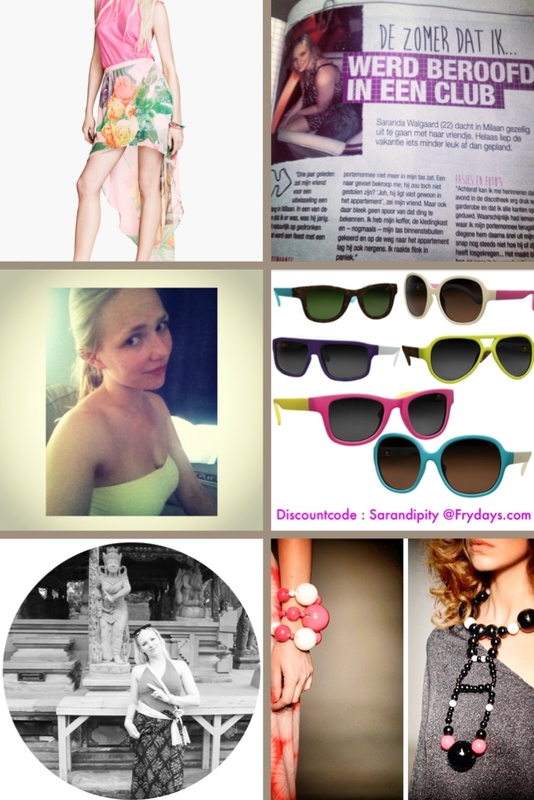 Frydays is a unique sunglasses concept with fully customizable sunglasses. Four different types of fronts and the 13 different colors for the frame and the arms, let’s you make endless variations! While designing I even found out that the color of the glass changes with the color you pick for the front! The glass colors are black, brown and green-ish. If you normally wear glasses, you can even adjust the Polaroid glass to your glasses prescription! 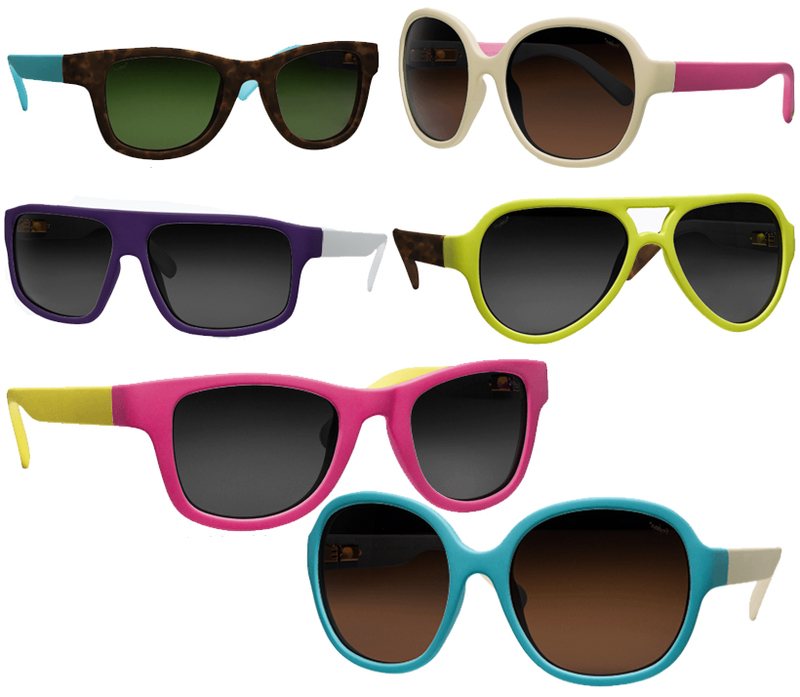 Besides the option of buying a full customized pair of sunglasses you can also order another front, or extra arms. This way you can change your personalized sunglasses daily! That is great right?! So I made some designs, and I really am in love with some of these, so for sure I am going to order one or two pairs very soon! My favorite fronts are the wayfarer shaped glasses and the huge round glasses! Why don’t you go make some designs yourself? Check out Frydays.com for more information and start designing! If you are interested in buying a pair of glasses, I managed to get you all a discount code! Are you going to order one of these beauties?? If yes, please show me your design!